For a basic English to Latin Translation of common words and phrases, use this handy guide. This page features the 100 most common words in English, along with their Latin counterparts. 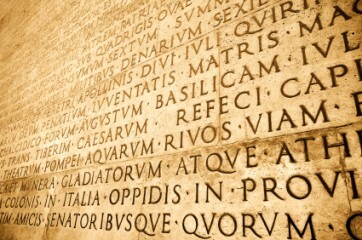 Latin is an ancient language that eventually evolved into the Romance languages, which include French, Italian, Portuguese, Spanish, and Romanian. Quite a few Latin words are the same in Latin as they are in English. These days, Latin is mainly spoken only by scholars and clergymen. Scroll further down for an English to Latin Translation of a dozen common phrases. For translations from English to and from other languages, see the links below. Go here for printable Car Insurance Stats from All 50 States and Washington DC.